Indoor air quality is an important determinant of health and wellbeing. However, the control of indoor air quality is often inadequate, one reason being the poor articulation, appreciation and understanding of basic principles underlying policies and action related to indoor air quality. As a result, the general public is familiar neither with those principles nor with their associated rights. 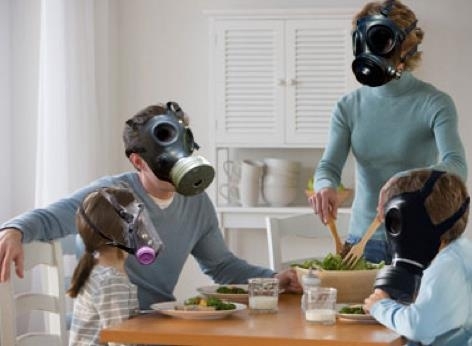 A WHO Working Group was convened to agree on a set of statements on “The right to healthy indoor air”, derived from fundamental principles in the fields of human rights, biomedical ethics and ecological sustainability. This document presents the conclusions of the Working Group, informs individuals and groups responsible for healthy indoor air about their rights and obligations, and individuals by bringing those rights to their attention. Everyone has a right to healthy indoor air. 2. empower the general public by making people familiar with this right. The right to healthy indoor air applies across the world. While it is an individual responsibility to prevent air pollution indoors, decision-makers both inside and outside the public health sector have important additional tasks in this respect. In particular, the building and energy sectors have pertinent roles to play. Many factors influence indoor air quality, including the design, construction, equipment, operation and maintenance of buildings or other indoor spaces, as well as outdoor air quality and the occupants’ preferences or activities. All individual groups, whether private or public, associated with a building or other indoor space, bear responsibility for healthy indoor air and the protection of the health of its occupants. I would add that it’s impossible to have “an individual responsibility to prevent air pollution indoors” without being made aware of all the toxic chemicals allowed in everyday products and materials. We are not informed of the ingredients or given the scientific capability to discern their effects. How can an individual make an informed decision about products under those conditions? ALL ingredients need to be labelled, and the harmful ones should just be banned from everyday products and materials since safe alternatives exist. This entry was posted in Human Rights, Indoor Air Quality and tagged environment, Housing, indoor air quality, outdoor air quality, public health sector, right to clean air. Bookmark the permalink.